I would like to show you a few development boards with STM32 and the price is lower that $5 (without shipping). You can't expect the ST-LINK programmer and debugger, but the price is so friendly. Here are two boards which we can easily buy. Schematic is available here (pdf file). 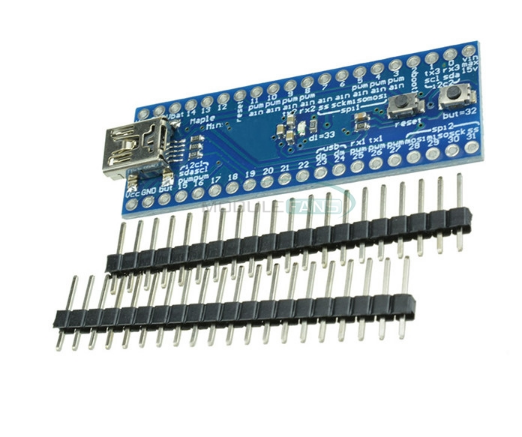 The second board is also minimum system development board with STM32F103. 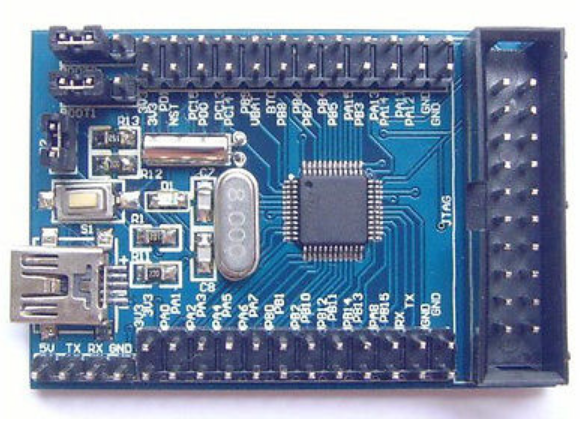 This board is manufactured by robotdyn. Both boards contain the same components. 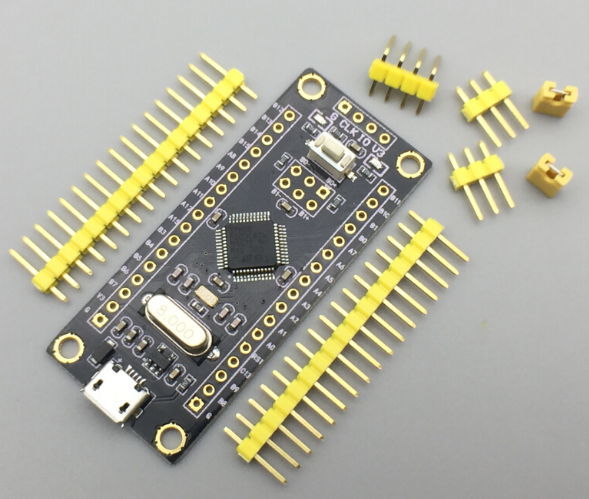 STM32F103C8T6 (32bit ARM Cortex M3 core, maximal clock frequency 72 MHz,FLASH 64 kB, SRAM 20 kB), mikroUSB connector, JTAG header and jumper for settings of bootloader - UART, USB and RESET button. upload the code, open the bootloader jumpers. You can upload the firmware with USB bootloader. Another board with STM32F103C8T6, GPIO of uC are connected to headers. You can also use UART bootloader. Only set the BOOT jumpers. If you have JTAG programmer, you can use that. The Maple Mini board by LeafLabs is so popular. The LeafLabs stopped the production. So now, you can buy cole of this board. 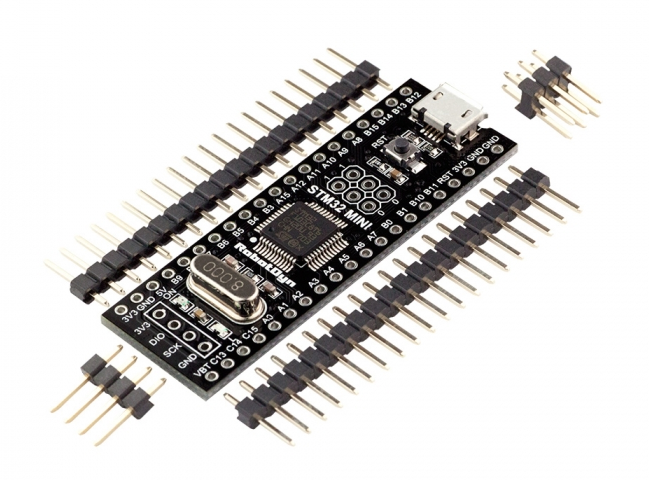 The board contains STM32F103RCBT6 (32bit ARM Cortex M3 core, maximal clock frequency 72 MHz,FLASH 128 kB, SRAM 20 kB), miniUSB connector, RESET button and button for USB bootloader. After the uploading of code, you only reset the board. How to entry to USB bootloader mode? Press RESET and BOOT, release the RESET button but hold the BOOT. After a few second you can release the BOOT button. The LED is slowly blinking. Do you know another boards with this price? Write it in comments.